Take a high-altitude break for refreshments – there’s so much variety. 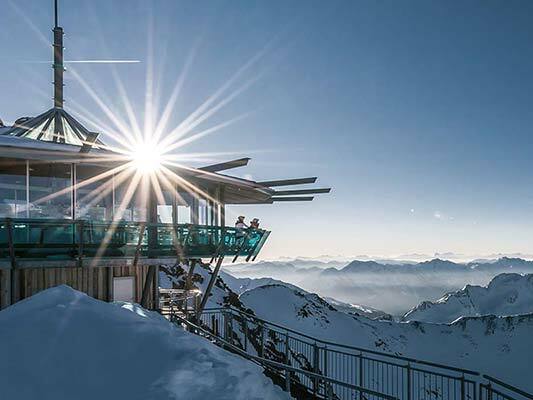 Eating and drinking in Obergurgl-Hochgurgl offers multifaceted delights: sip a glass of Champagne at 3,080m above sea level and absorb the 360° panoramic view. Enjoy a delicious draught beer in the sunshine at the Europe’s highest altitude motorcycle museum. Devour a hearty Tyrolean Marend in a rustic ski lodge – maybe followed by a pear schnapps in an après-ski bar. Delight in a delicious rib eye steak or butter-soft spare ribs in the quaint Downhill Grill. And dine on 5-star superior gourmet pleasures at the Relais & Châteaux TOP Hotel Hochgurgl with fine wines from one of the Alps’ highest wine cellars. Heaven for gourmets and mountain fans. 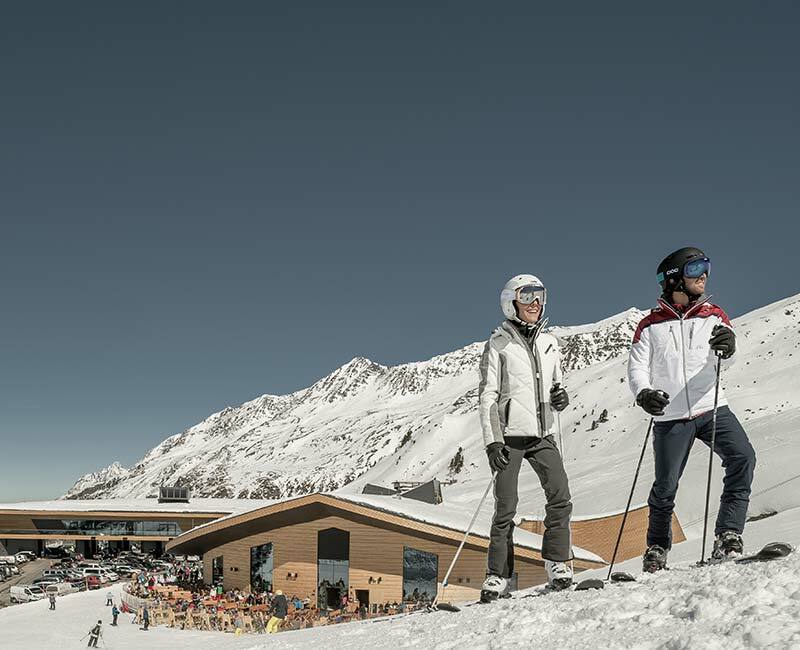 Welcome to the TOP Obergurgl-Hochgurgl ski and gastronomy resort – the peak of culinary pleasure. Rustic idyll or après-ski revelry? A major attraction in the mountains is the après-ski. 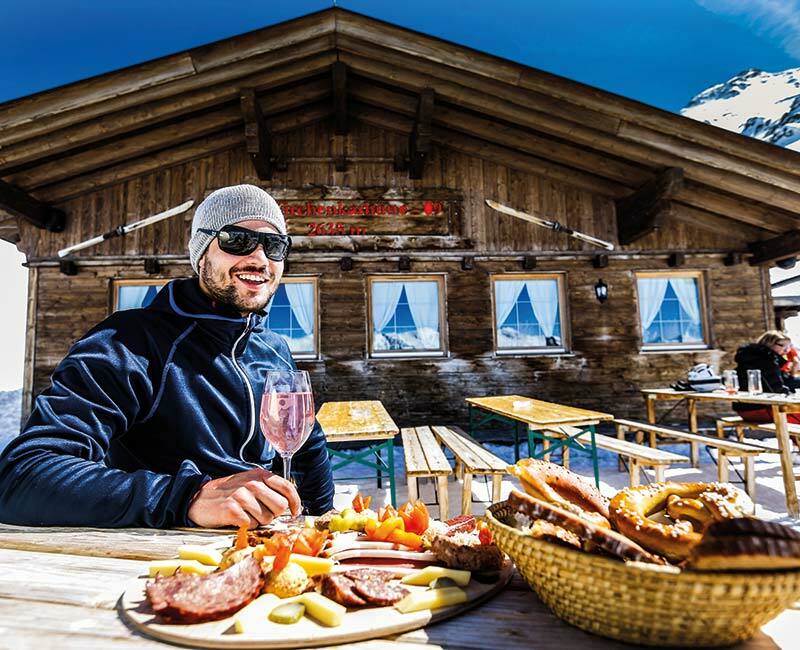 Typically Tyrolean and homespun, everyone enjoys eating and drinking in the quaint and cosy ski huts of Obergurgl-Hochgurgl. Tuck into dumplings and doughnuts for lunch, coffee and cake in the afternoon – and then enjoy an après-ski party or night tobogganing with refreshments. We recommend doing both! Time for something special? Time for the extraordinary! TOP Mountain Star, the Obergurgl-Hochgurgl ski resort’s culinary highlight at 3,080m above sea level. 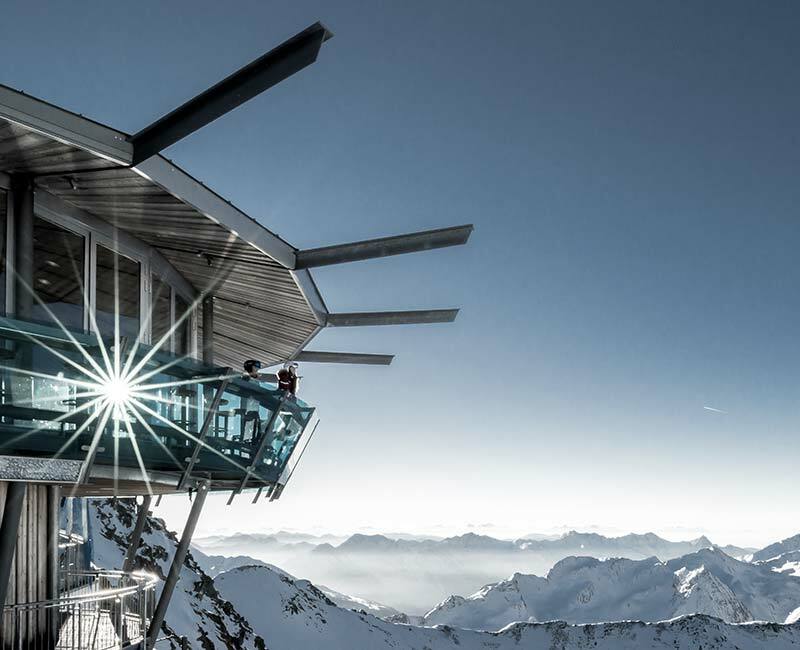 Gourmet restaurant, summit bar with Swarovski appeal and panoramic platform come together in an architectural masterpiece. A landmark building enthroned on the Wurmkogel’s narrow ridge from where the views sweep to the snowy peaks of the Dolomites. Probably the most impressive fusion of north and south. On a 6,060sqm area at 2,175m Alpine altitude, the Europe’s highest altitude motorcycle museum encompasses more than 270 exhibits, a panoramic restaurant and terrace serving Austrian and Italian specialities, indoor and outdoor chill zones, a toll station and the Kirchenkarbahn cable car’s lower terminus, this is the passing point between North and South Tyrol… All housed in a curved, futuristic building that cleverly blends into the Ötztal Valley’s landscape. It’s an experience!